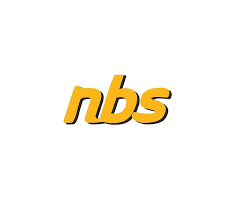 NBS is seeking a strategic, experienced, innovative and commercially astute Leader to be the Chief Executive Officer (CEO). The CEO reports to the Board of Directors and will be responsible for the overall strategic and operational performance of NBS and the achievements of the Bank’s Growth and Profitability Agenda. The CEO ensures the implementation and achievement of NBS’s current and future strategic direction set by the Board, and ensures delivery of strategic and operational key performance results, and expected outcomes, across the organization. The CEO provides the mandate and leadership for the Leadership Team, to lead and implement continuous improvements in business policies and procedures, leveraging digital transformation, and ensuring delivery of quality customer services. The CEO is accountable for developing new business opportunities and sustaining valuable relationships with private and public sector stakeholders to ensure the bank’s continuous expansion and business growth. Implementing changes to deliver the highest level of customer service. A proven track record should include executive-level experience and excellent communication skills. A minimum of a Bachelor’s degree in Banking/Finance/Commerce or any related field. The CEO position offers an attractive remuneration package based on Qualifications and Experience. Referees to: Manager Human Resources. The National Bank of Samoa is a locally owned and operated a commercial trading bank. From its humble beginnings as a family owned and managed business in the mid ‘90’s, nbs has grown to be a major player in the Samoan banking and commercial sectors.